Insync is an unofficial Google Docs/Drive client which is available for Windows, Linux, and Mac OS X. If you are familiar with Dropbox and the others cloud storage clients, you might be familiar what kind of Insync is. The application synchronizes files on Google Docs/Drive with local file on specific folder. 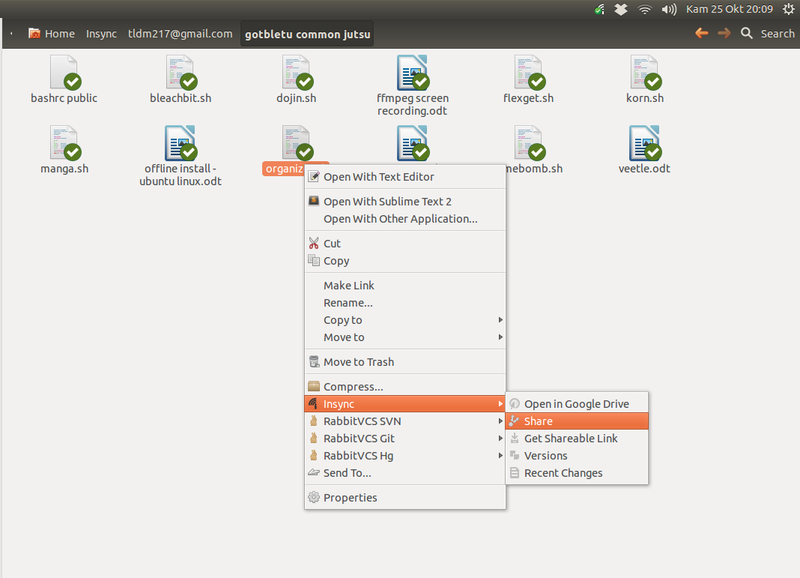 In Linux, it integrates Nautilus and Dolphin file manager so there will be context menu and emblems for synced files for Nautilus and context menu only for Dolphin. From the context menu, we can share, open on web browser and even show recent changes of the file. 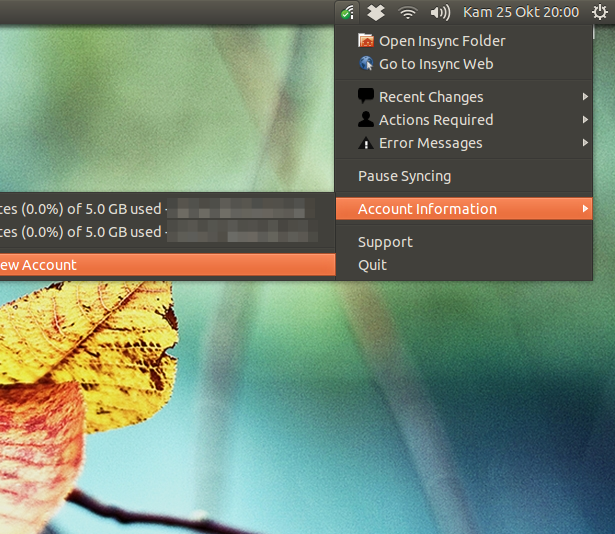 Insync supports many Linux distributions and its desktop managers. You can user it on Ubuntu, Linux Mint, Fedora, RHEL, OpenSuse and more! Insync seamlessly integrated with many desktop managers such as Unity, Gnome Shell, Cinnamon, KDE 4 and MATE (untested). Ubuntu users can install Insync easily from its own repository, so you can get the latest update if available when running system update. Once installed please logout and login back to complete the integration, especially with Nautilus. When you run Insync at the first time, it will open web browser pointing to your Google Account and requesting your permission to allow Insync accesses your account.